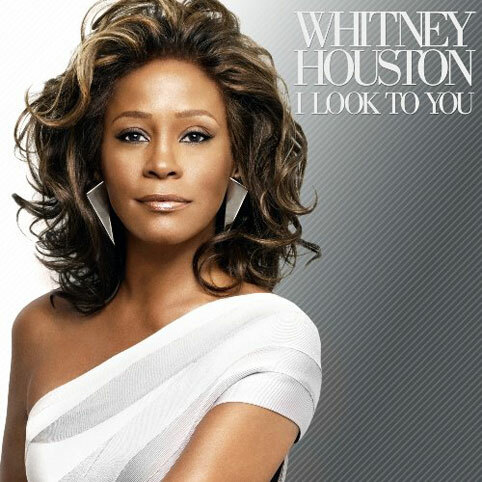 Whitney Houston will release I Look To You on August 31, her first studio album in seven years. Can the absent diva who launched a thousand “crack is whack” jokes win our hearts again? It remains to be seen. Even if our hearts are willing, it takes more than just showing up to claim a comeback success. She has to deliver something exhilarating, something dramatic, something as close to perfect as the thrill of her voice when it first seduced us more than 20 years ago. That’s a tall order, no matter how badly she or we want it to happen. But it’s possible. Fans have been through a lot with Ms. Houston, suffering the humiliating sight of one of the world’s greatest singers lowering herself to the reality-TV train wreck that was Being Bobby Brown. We’ve been frustrated with the years of rehab reruns, previous false comeback promises and the chaos of her life which kept her from giving us what we want: more Whitney Houston. Can we overlook the missteps and give her a chance now to debut singles on our iPods instead of our Walkmans? All number one hits, each and every one of them. Houston is one of the biggest selling stars ever, with more then 170 million albums sold. Her music helped to define the late 80s and early 90s and set the stage for one of the grandest and best-selling songs of all time, I Will Always Love You, the hit from The Bodyguard, a film in which she made her screen debut. Further, and incredibly, Ms. Houston was the first recording artist ever to have seven consecutive singles top the Billboard Hot 100. Magic. We want that magic back. With a Whitney Houston sparkle in our eye, those of us who need lyrics in order to shake our groove thing on the dance floor could use a new Whitney Houston pop song, house music be damned. Broken hearts long to wallow in a re-imagined Didn’t We Almost Have It All. Lovers who want to save all their love for their sweethearts need a new soundtrack. And let’s be real: drag queens need new Whitney Houston songs to lip-sync. Alicia Keys, David Foster, R Kelly, Diane Warren, John Legend, Sean Garrett and Akon are just a few of the well-known writers and producers who worked on the new album. Their involvement along with Whitney’s talent offers some optimism that killer songs might be coming our way. Still, at the end of the day, it’s the singer herself we look to to deliver. From the fans’ point of view, we want her to succeed. We want her to rise to the challenge. We’re loving the idea of the comeback which, by the way, is rumored to include concert performances at London’s 02 Arena to fill some of Michael Jackson’s dates. We want these things because Whitney Houston, in her own pop, soul, R&B, divalicious way, gave people something to celebrate. So yes, let us look past our selfish disappointment and hope with all hope that she brings it with this new album. Whitney Houston’s biggest challenge is that she now has to compete with one of the greatest stars of all time: herself. The question is, can she live up to that standard?